The Arbor Reserve in Bradenton neighborhood is the answer to the growing demand by home buyers for brand-new residential communities that feature safety, privacy, comfort and convenience. New homes are highly sought-after in the Southwest Florida housing market, and Arbor Reserve offers house hunters 95 opportunities to call Bradenton home. Development at Arbor Reserve is handled by two award-winning home builders: Taylor Morrison and Ryland Homes. Both builders are making some of their most attractive floor plans available to home shoppers. Ryland’s homes start at under $225K for three-bedroom, two-bathroom and two-car garage single family residences. The Frost II floor plan features four bedrooms in a two-story home built on 2,271 square feet for under $260K. The Ryland architectural style is inspired by the Mediterranean design that is popular in Southwest Florida. Taylor Morrison’s homes at the Arbor Reserve neighborhood range from $274K to $351K. The spacious Kentwood III floor plan is the chosen model; it features four bedrooms and 3.5 bathrooms on 3,258 square feet. The Taylor Morrison’s architectural style combines the Mediterranean revival with Caribbean Island home designs. The most elegant offering is the five-bedroom Waverly III, which is priced just over $350K. Arbor Reserve is a gated community with plenty of amenities such as nature areas, placid lakes, swimming pools, cabana, playground, and more. The neighborhood is in the heart of South Bradenton; the beaches are just 20 minutes away by car. The DeSoto Square Mall is just a couple of miles to the north, and there are three convenient shopping centers in the vicinity: Bayshore Gardens, Southwood Shops and Cortez Plaza. Young residents of the Arbor Reserve are served by the following Manatee Public Schools: Tara Elementary, Sara Scott Harllee Middle and Braden River High. 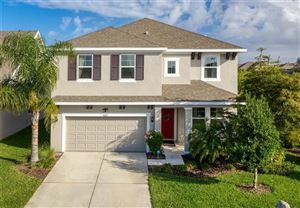 See all Arbor Reserve Bradenton Florida Homes for Sale.